Sorry but they say they can only ship to USA and Canada addresses. TROUBLE KEEPING TRACK OF YOUR BOOKMARKS? YWAM DONOR CHALLENGES OTHER YWAMMERS TO MATCH GIFT — Here’s a YWAM worker in Holland who sent $40, challenging all other YWAM missionaries worldwide to match his gift to Brigada. How ’bout it, YWAMmers: Any takers? ACTION INT’L OFFERS MANUAL FOR RESTORING STREET CHILDREN — Thanks to the anonymous family from Action Int’l Ministries who sent $50 to help cover the cost of our Brigada-sponsored secretary. 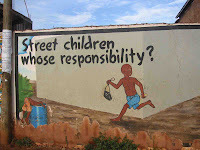 See their site at: http://www.actionintl.org/ where you’ll see News from the Field (PDFs), Photo Galleries, Action Point Magazine, and the free manual for ministry to street children, “Restoring Children of the Streets” as a download. UNREACHED PEOPLES CONSULTATION –- Do you want to see a breakthrough among Muslims around the world? AFMA in partnership with AIMS, CBN, and Regent University presents “Breakthrough among Muslims,” an unreached peoples consultation at Regent University in Virginia Beach, March 14- 17, 2005. Learn how to effectively evangelize the Muslim world from people who have ministered successfully there. Don’t miss this exciting opportunity to develop effective strategies and network with other churches, agencies, and interested individuals who all have a passion to reach Muslims for Jesus Christ! To request a brochure, call AFMA at (757) 226-5850 or send an email to afma(at)aims-usa(dot)org [As a means of preventing spam for our contributors, in the preceding email address(es), please replace (at) with @ and (dot) with .]. CHECK OUT MP3RAT — Are you the type who loves to create and collect MP3 songs from your CDs and digital music? While you’re browsing at Kaylon’s website (to see “Powermarks”, mentioned below), check out “MP3Rat” http://www.kaylon.com/mp3rat/index.html Seems to make life so much easier for digital music lovers! STUDY ISLAM IN GERMANY — English speakers can now fulfill most requirements for a MA degree (Muslim Studies) without relocating to N. America! The rest can be done through short courses at the Columbia International University campus, Columbia, South Carolina, or by IDL (Independent Distance Learning). Folk Islam – Dr. Warren Larson (May 30-June 10, 2005) Women in Islam – Dr. Elsie A. Maxwell (May 30-June 10, 2005) Multicultural Teams – Dr. Lianne Roembke (June 13-24, 2005) Approaches to Islam – Dr. Andreas Maurer (June 13-24, 2005) Tuition is approximately $500 per 3 semester hours. Auditors are welcome for less, and all kinds of plans are available for food and housing. The campus is centrally located in Europe near Stuttgart, Germany. For more information email ccrouse(at)aem(dot)de [As a means of preventing spam for our contributors, in the preceding email address(es), please replace (at) with @ and (dot) with .]. TROUBLE KEEPING TRACK OF YOUR BOOKMARKS? — In my own browsing, I’ve also appreciated Powermarks from Kaylon Technologies http://www.powermarks.com/ This is a great utility to help you find bookmarks or “favorite places” on the web, and as an added benefit, you can also use it to save passwords for other things too. SHARE WHAT YOU KNOW AT “GEO” — Global Economic Outreach partners skilled volunteers with field missionaries seeking expertise by email or telephone. Their emphasis is on development. GEO recently launched HOTLINKS, an online content management system for sharing documents and web links. Benefit from the knowledge, experience, and ministry of others by visiting http://www.teamgeo.org/links.php Submit relevant content to mail(at)teamgeo(dot)org [As a means of preventing spam for our contributors, in the preceding email address(es), please replace (at) with @ and (dot) with .] or use the online contact form. CHECK OUT GLOBALMISSIOLOGY.NET — Browse the new articles at http://www.GlobalMissiology.net. The latest issue’s theme is Ethnic Ministry and Missions. You’ll find: * 5 Feature Articles by thoughtful writers around the globe * New perspectives on ethnic ministry contemplating its manifestations in research and practice * Enjoyable and informative reviews of cutting-edge missiology books some of which have recently been released. MAC READERS HAVE OTHER OPTIONS FOR VOICE-OVER-IP — If your readers have a Mac (or are considering it), the Mac’s iChat system is wonderful. According to Dave, it is standard in all current and recent (2000 + newer) machines, running OSX and features voice over IP as well as full live video as well. THANKSGIVING GREETINGS — In the USA and many other lands, it’s Thanksgiving today. It happens to be one of my most favorite holidays of the year. It’s somehow escaped most of the “Hallmarketing” :-) and has its origin in something identifiable, instead of in alleged pagan rituals or witches’ covens burning goats under some bridge in an inner city. Nobody has to buy gifts, so there’s no chance big store at the mall will make a dime off of it. About the only people who make a profit are the turkey breeders, who probably do as much business this week as in the other 51 weeks combined. :-) Sure there are dishes to wash afterward, but you don’t have to bag up mangled wrapping paper (and nobody is sticking bows on your head or throwing wrapping paper balls in your face). Surprisingly, there’s very little music — except for that one song that, instead of gives thanks, gathers everyone together “to ask the Lord’s blessing.” Best of all, there’s no hangover (hangover = having to take down all the decorations), no cavities (like you get from eating all that chocolate from trick-or-treating or hollow Easter bunnies), and no credit card bill to pay off in 25 days or less. All kidding aside, though, maybe Thanksgiving is *the* most religious holiday we have left. My theory is — people actually really do still think about praying and giving thanks. And that’s cool. Let’s not be the exception. 3) NEED FREE IMAGES FOR YOUR NEXT POWERPOINT? Edited by Dr. Kelly O’Donnell, _Doing Member Care Well_ is a compilation of articles and updates on how different organizations are providing member care around the world. Over 60 authors contributed to the book, from all over the world. It is being offered at a greatly reduced price until January 10, 2002. To see the cover, endorsements, contents, and the introduction, visit http://www.membercare.org . For more information contact the editor at 102172 170 compuserve com . The images there are updated frequently to reflect current events. Thanks for your work, Bill! “BibleKeys” is a dynamic 5-week course for new believers available free on the Internet at http://www.biblekeysonline.com . It works interactively, encouraging students to study and memorize the Scriptures for themselves. Chinese and Hindi are to be added shortly. It’s also available in printed form. Find out more by emailing info at biblekeysonline dot com (replace the “at” with @ and the “dot” with “.” and remove the spaces). Check out resources at http://www.howardmorganministries.org , especially the evangelism seminar, “Everyone Can Evangelize.” It has three 90-minute tapes and an illustrated workbook. Northern Sotho Matlhatse le matlhogonolo mo ngwageng o moswa. Serbian – Hristos se rodi! WHERE DOES YOUR MK GET FUNDING FOR SCHOOLS? WHERE DOES ONE FIND INFO. ON CONFERENCE CENTER OPTIONS? Global Mapping (GMI) has done it again, with this great new resource for ministry to unreached peoples. They’ve integrated the latest and best information from the leading global missions databases, along with maps of thousands of people groups, to produce this “factbook and atlas of the world’s peoples and languages from a mission perspective.” As soon as I opened a copy of “Peoplesfile”, the first thing I did was search for information on a particular unreached people group our mission is currently trying to research. Lo and behold, they not only had it listed but also plotted! Here was a beautiful full color map with a polygon showing exactly where the [somewhat obscure] people group lived! We had searched tons of sites on the Internet and weeded through page after page in libraries… but nothing could have been so quick and easy as this beautiful little CD. If I were to have had this information in 1984, I could have saved weeks. Granted, now it’s 2001 — but this CD will still save me hours. I’ll be honest — if your work includes any research or mobilization for unreached people groups, it would seem this program should be on your “top ten must-have list.” It should be shipping by mid-April, and is priced at under $40, with bulk quantity discounts available. Read all about it at http://www.gmi.org/products/peoplesfile.htm or contact GMI info gmi org (info gmi org) or by telephone: 719-531-3599. John sjhfryd bigfoot com (sjhfryd bigfoot com) is trying to find all scholarships, resources and/or funds available for MKs. Since not all missionary families are able to live close to appropriate schools, it would seem that options for schooling are often very limited … and prohibitively expensive (even for elementary school students). Any suggestions, information or ideas are welcome. John will gather all this information and make it available to everybody interested. This May the YWAM Hakka church planting team, in co-operation with intercessors from around the world, will sponsor their fourth month-long Hakka Prayer Net. Their desire is to raise up at least 1500 faith-filled intercessors who will pray at least 15 minutes every day during the month of May for this unreached people group. Sign up and find out more on the web at: http://www.hakkaministries.org/prayernet2001/signup.htm Spread the news! Of the nearly three million Hakka Chinese who live in Taiwan, only .2% would consider themselves to be Christians. For more information about this prayer project please write hakkateam hakkaministries org (hakkateam hakkaministries org) . A “Rescue And Restore Training Course (Children In Need),” offered by Youth With A Mission and The University Of The Nations, is slated for Camaragibe (Recife), Brazil, June 03- October 27. It consists of 3 months theoretical teaching and then 2 months practical in Recife. For more information, write jocum nlink com br (jocum nlink com br) . The next West Africa Regional Consultation will take place May 05-12, 2002 and will continue to help to focus the attention of the Church on the needs of frontier church planting among unreached people groups in West Africa. Just as in Dakar and Bassam (sites of previous consultations), organizers hope to provide a forum where key mission leaders can meet, interact and make plans for more effective evangelism among West Africa’s least reached people groups. For more information, write Younoussa YDjao compuserve com (YDjao compuserve com) . The 11th annual International Conference on Computing and Mission is scheduled for June 8-12, 2001 at the JAARS headquarters in Waxhaw, North Carolina. ICCM provides an invaluable opportunity for anyone seriously interested in the use of information technology in international missions to learn and network with others. Get more info. on the web at: http://www.iccm.org or write to info iccm org (info iccm org) . The new Video Cross-Cultural Training series, “Bridges of Understanding”, is now available through Mission Training International. It is composed of eight video sessions conducted by experts in cross-cultural training and was produced with the format of being video-driven without the need of an experienced facilitator. Though not designed to give one a complete understanding of cross-cultural skills, it should at least serve as an introduction or bridge into another culture. To order call 800-896-3710 in the USA or via Net2Phone or 719-594-0687 from anywhere. Otherwise, write Mintern aol com (Mintern aol com) or look on the web at: http://www.mti.org. That’s what Ian idevilliers viva org (idevilliers viva org) would like to know. For example, he needs a spot for 150 or so participants from South and South-East Asia in 2002 for a conference focusing on ‘children at risk’. So where does he get info. on affordable hotel sites with lots of break-out rooms in a country with visa availability for other Asian nationalities and an international airport? If you know of directories or web sites or whatever, drop Ian a line and he’ll assemble a report for everyone to grab here on Brigada. Finally, maybe there’s a good reason for this “instant messaging” stuff! Last Thursday night I stopped by the chat room over at: http://www.strategicnetwork.org for a “live” prayer session on Nepal. It was indeed encouraging to “hear” so many people lifting up needs in this one nation… and the same thing has happened recently for Afghanistan, India, Kazakhstan, and Indonesia. I’ll admit… there was something stimulating about knowing all these folks were praying from somewhere in the world… and they do it every Thursday night. I think this concept is about to explode sky-high. And … while you’re visiting their chat room, check out the growth in groups at Strategic Networks. They’ve been busy! Ever fancied a go at “Who Wants to Be a Millionaire?” or the opportunity to prove you’re not “The Weakest Link?” OSCAR, the web-based UK Information Service for World Mission, has launched it’s very own “Who Wants to Be a Missionary?” quiz online. Designed to test your knowledge as a world Christian and potential missionary, the quiz comprises of 15 multiple choice questions on various topics like geography, religion and the history of mission. Anyone achieving a score of 10 or more will be entered in the bi- monthly “High Scorers” prize draw. Confident? Why not give it a try and see how globally-minded you really are? Go to http://www.oscar.org.uk and click on the “Who Wants to Be a Missionary?” link or, if you only have email access, send an email to info oscar org uk (info oscar org uk) with “GET QUIZ” in the subject line. On October 15-19, 2001, Dr. Leroy Lawson of Hope International University will be the featured speaker at the All Africa Missionary Seminar of the Churches of Christ/Christian Churches (other interested missionaries welcome). The Seminar will be held just outside Cape Town. Ron Butler, veteran missionary, will lead a workshop on “Spiritual Warfare”. For more info, ask Alice fishback yebo co za (fishback yebo co za) . That’s right… this issue marks the sixth year anniversary of Brigada Today. Though there were some initial “email conversations” among a handful of individuals as early as January 25th, 1995, we actually “went public” on March 21, 1995. It’s a simple story, really. In November 1994, I was asked to serve as the president of a missions mobilization event that was to take place a couple of years later in Lexington, Kentucky. To prepare for the event, my colleagues and I began to try to find information about unreached peoples. We were aghast that it was still so hard to find good information. To make matters worse, we found it nearly impossible to effectively create or nurture networks among those trying to reach common nations of people. I remembered that a tech from a group called “CrossConnect”, based in Colorado Springs, had helped me send a binary file over the Internet to one of our mission staff in Ukraine. His email address had a funny “xc.org” domain. Boy was I in for a ride. For whatever it was worth, when we began to wonder whether or not the Internet could offer a set of tools for collaboration, I dug out that tech’s name and gave him a call. I remember that day as if it were yesterday. The Internet was something like the “Wild wild West!” And the web was so new, few of us guessed its potential. Over the next few months, that tech — Jonathan Marsden — became one of my closest friends, even though we had never even personally met! He pretty much single-handedly gave us the nuts and bolts and the technical vision for launching a family of interconnected networks via the Internet. When there were no tools for interacting, he would write them. When we had a need for doing something new, he would create. It was truly a time I’ll never forget. Our subscriber base, which started at 2 — Jonathan and I — soon grew to 50 and then, following GCOWE ’95 in Seoul, to 100 and . . . finally thousands. Some of you… many of you… have been with us ever since. There have been Brigada boosters — those who helped us grow the idea. I think of encouragement from people like Luis Bush who gave us a real forum with AD2000’s GCOWE conference. Greg Fritz, of Caleb Project, personally flew at his own expense to several of the initial “launches” for Brigada and the related “PACE Project” meetings. We have received tons of moral support from friends like Eric Derry and Chris Bushnell and many others who actually read this stuff. Amazing. And the mission for which I work (the one which actually pays me! ), Team Expansion, has given me lots of latitude to use free time to follow this star. Many other people have helped make the dream a reality down through the years. Revis Ann Massey, an early “tech support” volunteer, answered tons of help questions in a labor of love. Later… and still through the present, Don and Judy Pratt have stood strong in her legacy of offering real live human answers when needed — help brigada org (help brigada org) . Many have asked… where’d you get the funny name? Brigada, pronounced “bree-GAH-dah” (rhymes with armada), is the rough equivalent of a “brigade” — in Russian, Spanish, Portuguese, Albanian and even Filipino (who knows what other languages)! The idea is to stand side by side to pass buckets of hope for those most in need of Christ’s eternal message — like the old-fashioned bucket-brigades for putting out fires or like my Crimean Tatar friends in Ukraine when they’re passing gravel to build a new house together, helping one another. We needed a name for the service and… it just seemed like something unique and appropriate. Well, back to the story, as time passed, there were the inevitable changes. CrossConnect was a brilliant idea but no one knew for sure how to pay for it. What’s more, the “free-wheeling” (pun intended) style of the Internet just made it that much harder for CrossConnect leaders like Pete Holzmann to make ends meet — seemingly everyone wanted a free ride. So in the end, the entire department was sold off to MAF (the airplane people) in Redlands, California. By this time, Brigada had spawned literally dozens of “sub-groups”. There were tons of people-specific conferences, along with role-specialized groups. I suppose they were the true precursors to the “YahooGroups” of today. Though there was no real “web interface”, no one really cared. We didn’t have time to use the web anyway… and few of us had fast connectivity anyway. The web seemed, well, overkill for what we needed — at first. For those who wanted to use it as an archive of past issues, God raised up Bob Mayhew — an amazing volunteer staff-person who is still churning with us today. He’s the single-handed reason that you can go to www.brigada.org and look at all six years of back- issues… and even search them instantly. The high-tech leaders and the financial numbers-crunchers at MAF’s headquarters were truly caring people. I remember, for example, one week that they flew me out to Redlands to speak in chapel there for the MAF staff. They just wanted to build the relationship all the more. I got to meet with Jonathan and all the others. It was a great celebration… 10,000 subscribers… dozens of functioning sub-groups. We seemed to be flying high. But soon the question was rearing its ugly head again … how do we pay for this technical hardware-heavy, software-laden, connectivity-based cooperating!? MAF finally had to make a tough decision — to start charging either by the byte, or by the message, or by the group, or something. And when they switched over to a fancy new software (remember Lyris?) that was intended to provide new bells and whistles for sub-conference operators, for some reason, many were confused and seemingly left in the cold. As I look back, I don’t think the subconferences every recovered from that shock. But since those days, StrategicNetwork.org started up… (see item #11 above) and don’t forget www.peopleteams.org (check it out if you haven’t been there lately). These networks filled a real need… and probably did it all the more efficiently using their web interfaces. And since they were run by professionals who were doing it for a living, the staff there had more time — than a Brigada approach, run totally by volunteers, who actually made their living as full-time missionary-types, doing all this Internet stuff on the side as a kind of overgrown hobby. And for those with web access, they probably resonate better than the tools we used to try to pull together in the old CrossConnect days, when a “friendly face” like John Hanna (Caleb Project) had to try to actually manually answer every inquiry personally at the “People Group Consultant” service (remember the “PGC” email on August 25th 1995? If so, you’re showing your “Brigada age”! ). So today, when people ask, “Where are all the subconferences I’ve heard about on Brigada?”, I just smile to myself and remember the “good ole’ days.” They were filled with high-flying, adrenalin-pumping, marathon all-nighters. They’ll always mean a lot to those who took part in them. But as always, the real “proof of the pudding” for Brigada (or any other service trying to lift up the needs of the unreached… and the tools for reaching them) isn’t really based in the tool itself… but rather in the act of reaching them. And everywhere we go these days, we see churches and agencies working together to complete the task of world evangelization. As long as that’s happening with gusto, the Brigada dream will still be alive. RESOURCES — Many Brigada readers seem to like hearing about new resources… maps (remember those 100 Gateway Cities maps from August ’95? ), videos, CDs, and even books. Maybe promoting these resources has become one of the key roles of Brigada. RELATIONSHIPS — In the end, it’s not the maps or videos or even the hoopla. It’s the relationships we establish that will last… and those are Brigada-strong. RESOLVE — Many have asked how we’ve managed to keep at it. Though nearly every issue of Brigada Today is “late” , we have for better or worse (you be the judge) always gutted it out. In six years time, through thick and thin, sometimes from Africa, Asia, South America, or wherever we happened to be in the world, … we’ve always managed to email you a message… six years times 52 weeks/year… yikes … now there’s a scary thought. 25,733 paragraphs, 85,340 lines, 723,191 words, for a total of 5 megabytes of just verbiage (no pictures)… makes me tired just thinking about it. And speaking of tired, it’s 4:36am. Time to hit the sack. Oh… did I mention… a lot of Brigada readers like … brevity. Oops. HOW DO YOU USE CHRONOLIGICAL BIBLE STORYING IN AN URBAN SETTING? LOOKING FOR A DIGITAL CAMCORDER? WANT TRAINING AS A MISSIONARY PILOT? MINISTERING IN AN ORTHODOX COUNTRY? It’s actually quite painless. Just get in the habit of placing the word “yahoo” wherever you would have typed “e” in egroups. There’s no hyphen. So to find the Brigada Today site on yahoogroups, go to: http://groups.yahoo.com/group/brigada-today There’s a custom facility to transfer your old “egroups” membership to “yahoogroups”. However, we’re guessing most Brigada Today participants probably never visited the website for egroups.com, and thus, probably never actually had an ID/password. So you can pretty much start from scratch at yahoogroups.com. The service won’t let you subscribe twice from the same email address. However, if you’re still receiving Brigada Today from a previous (and still working) email address, it is possible to receive two copies. The trick is — unsubscribe from the old service first. See the first few lines of this email for instructions. That’s what Rich untotheleast caracaspoor net (untotheleast caracaspoor net) would like to know. He’s looking for a chance to dialogue with others who have used or are currently using Chronological Bible Storying among low-income urban residents. His team of church planters is working in the barrios of Caracas, Venezuela, with a target group numbering more than 3 million (check out http://www.Caracaspoor.net). Because of issues of orality and literacy, the more conventional methods of evangelism have not worked well. Contact Rich with your experiences, things that worked and didn’t work, best ideas, sources, and links and he’ll make us a file that we’ll later release here in Brigada Today. Try the Sony DCR-PC110, a brand new unit from Sony that combines a digital video camera (using the new standard, Mini-DV tapes) with a digital still camera — at just over 1 megapixel level. For web sites and most printing jobs, you’ll see little or no “jaggies”. (Higher end printing requires up to 3 or 4 megapixel stills.) The price? $1499 Though that might sound like a lot, this same technology used to cost double or triple that. To find that price, go to a site like http://www.thedigitalbuyer.com Their product ID for the Sony unit is “SNYDCRPC110”. What we didn’t know was that this is simply a DBA (“doing business as”) renaming of a company with really bad reviews… known better as “The Digital Dog”. A tech from the US Center wrote today to supply us with this web page URL: http://www.resellerratings.com/comview.cgi?TheDigitalBuyer That page has some pretty sorry descriptions of their customer service. Mike (from the US Center) recommended instead that we look at these vendors: http://www.profeel.com and http://www.bhphotovideo.com I know we’ve ordered from the BH Photo folks before. As Mike acknowledged, the price will be a bit higher, but at least you’ll get your product in a timely fashion! The dates are October 17 through 20 in Tulsa, Oklahoma, with a goal of bringing missions and aviation together by networking ministries, organizations, missionaries, etc for the purpose of reaching the unreached. Alpha Aviation Mission Outreach Center is the host. A registration and exhibitor discount will be given to all subscribers of Brigada. For more info, see: http://www.alphaaviation.org or call Rod toll-free in the USA or via Net2Phone at Call toll free 866-GO ALPHA or dial 918-438-7812 from anywhere or write him mail alphaaviation org (mail alphaaviation org) . The Global Celebration for Women is a worldwide effort to unite the lives and hearts of Christian women in every region, nation, and community in Houston, TX from September 19- 21, 2001. Global Celebration hopes to gather 40,000 women from all over the world for this unprecedented event. Learn more at : http://www.globalcelebration.org or call Jill in the USA or via Net2Phone at 888-725-3707 or call 719-528-8728 or Email jjackson global-act org (jjackson global-act org) . Neal and Yvonne Pirolo will be embarking on an 8-week seminar/meeting tour beginning in early April. The seminars on cross-cultural ministry and support include topics from the books “Serving as Senders” and “The Reentry Team.” To find out more regarding seminar locations, topics and contact information, check out http://www.eri.org/seminar_schedule.htm or email ERI emmaus_road eri org (emmaus_road eri org) . Are your mission efforts coordinated, and focused on the unreached? Attend the Focused Strategies Conference, sponsored by Caleb Project, Antioch Network and Wycliffe Bible Translators, May 2-3, 2001 at Village Baptist Church, Beaverton, Oregon. Speakers include Jon Hardin, Shane Bennett, John Rowell and Lincoln Murdoch. For more information & registration contact Mrs. Kris Nelson in the USA or via Net2Phone at 800-269-2007 or 503-652-1662 between 8AM & 4:30PM PST or E-mail kris_nelson wycliffe org (kris_nelson wycliffe org) or click on: http://www.wycliffe.org/NWRO/FSC.htm. The Middle East Member Care Team will host Dr. Lianne Roembke for a 5 day seminar May 7-11, 2001, in Limassol, Cyprus, aimed at addressing the problems and joys inherent in forming, training, and leading a Multicultural Team. This seminar, specially designed for Member Care providers, personnel directors, regional leaders, and team leaders, will examine many of the issues of “globalization” in the team structure including: communication, identity, stress and burnout, decision-making, leadership, recreation, finances, and lifestyle. More far reaching topics will include discussions of the advantages of working in Multicultural Teams, selection and training of team members, and how leadership can prepare their workers for a Multicultural Team experience. Included in the seminar will be a special workshop on Burnout conducted by Dr. James Roembke of Westview Psychological Services (USA). For further information see http://www.memct.org/programs.php3 or contact tim memct org (tim memct org) . The English edition of “Houses That Change The World” by Wolfgang Simson, mentioned in the 23 Feb 2001 edition of Brigada Today, is discount-priced and available in North America through Gabriel Resources, a division of O.M. Literature. Call 8-MORE BOOKS, or e-mail order omlit om org (order omlit om org) . Be sure to request a copy of “Mission World”, their new catalog of missions-related books at discount prices. Help and encouragement for missionary wives and moms comes as a free email newsletter and new, improved web site. “Peter’s Wife” newsletter is carefully written to protect our sisters in sensitive areas. Subscribe by sending a blank email to: pw-subscribe topica com (pw-subscribe topica com) or see http://home.earthlink.net/~peterswife/ The website has a full archive of previously sent newsletters and a growing page of Favorite Links to web sites of interest to missionary wives. For more information email peterswife earthlink net (peterswife earthlink net) . Whether you’re planning an international trip or communicating with friends and family overseas, Ethnicharvest.org’s Travel Tools can help. You’ll find a World Clock with current time and date in any country, Currency Exchange Calculator, and links to international weather reports. There are even links to travel agencies who promise discounts for mission-related travel. It’s all at http://www.ethnicharvest.org/links/travel.htm. We mentioned before that Biola University and Greater Europe Mission have formed an educational partnership that will allow missionaries in and near Europe to receive quality education, training, and mentoring while they are engaged in their field ministries. As we mentioned, two degree programs will be offered, the MA degree in Intercultural Studies and the Doctor of Missiology degree. Classes will be offered each year in January and May near Kandern, Germany. Well now they have the dates set and are ready to roll. The dates for the first classes are January 16-23, 2002. Students who study in Germany receive an automatic 1/3 tuition reduction. For additional information, please contact Steve SBeck Gemission com (SBeck Gemission com) . Applications can be obtained from Shari shari_culver peter biola edu (shari_culver peter biola edu) . The Rescue And Restore Training Course (Children In Need) is part of Youth With A Mission and The University Of The Nations . The course is presently being offered in Camaragibe, Brazil (April 8- June 30). It consists of 3 months theoretical teaching and then 3 months practical here in Recife (July 9- September 28, Graduating September 29). For more information, write jocum nlink com br (jocum nlink com br) . “Apoyo-Bolivia” is a ministry dedicated to supporting Bolivian Christian leaders. In an attempt to meet a common request for information, Apoyo is developing a directory of post high school education options offered either through extension or over the internet – in the areas of theology, counseling, business, missions and pedagogy — in Spanish. If you are aware of any such education options, please communicate those directly to APOYO bo net (APOYO bo net) . Eldon will send us a copy to post here in an autoresponder.